﻿ LANCASTER NEW CITY CAVITE - House and Lot for Sale in Cavite Phils. 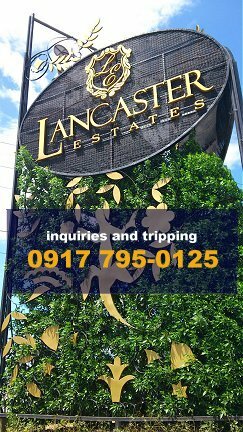 Lancaster New City is just 20 mins from Solaire! A new city that's so near, it's just 20 mins away from SM Mall of Asia! Beautiful houses, spacious interiors, prime location, complete amenities, wide roads, affordable prices with no outright downpayment, and much more will make you smile when you buy a house and lot in Lancaster New City, a 2,000-hectare English countryside-inspired community in Lancaster New City Cavite that is 15-20 minutes away from NAIA airport. Lancaster New City is subdivided into three villages, each having its own character. Marvel at the elegance of Manchester Village (P2.35M up), enjoy the better-than-condo houses at Somerset Village (P1.6M up) and discover the practicality of Kensington Townhomes (P850K up). The choice is yours. Every house model at Lancaster New City is built to last. Payment for the house is a commitment for many years so your house should stand the test of time. Room partitions are made of concrete, electricals and piping are laid out pefectly, there's room for your car(s) in your lot and most importantly, Lancaster New City is flood-free. News update: The minor flooding during the Habagat in a small area in Lancaster Residences, an old development in front of Lancaster New City, is an isolated case and is now being addressed by monthly maintenance of its drainage system. The vast majority of Lancaster New City was not affected by any flood. Lancaster New City features houses that are designed with space and natural lighting in mind. With rooms that are briliantly laid out, you'll enjoy furinishing your home for the entertainment and comfort of your family and friends. 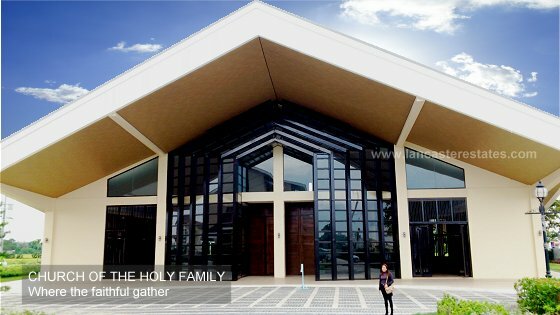 The estate chapel, The Church of The Holy Family, allows you to delight in having a place of worship right where you live. For shop-a-holics and entrepreneurs, a huge commercial complex operated exclusively by Lancaster New City residents will be developed soon. Lancaster Estates offers a wide range of lifestyle amenities that includes Leighton Hall for wedding receptions, swimming pools and a covered basketball court. At Manchester and Somerset villages, there's an open courtyard in every block where the kids can play freely and friends can party. Enjoy the benefits of more space, abundant sunlight and fresh air offered by the open courtyard. Best of all, just minutes away from Lancaster New City in Mega Manila are the commercial and entertainment establishments along Manila Bay like Solaire and SM Mall of Asia where you can relax and enjoy shopping with your family and friends. 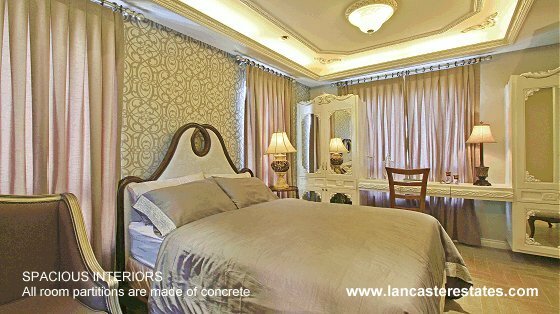 As the Entertainment City in Paranaque and Pasay develops, the value of your property in Lancaster New City appreciates! St. Edward Integrated School, under consultancy with the Lasallian Schools Supervision Office (LASSO), is set up right in the heart of Lancaster New City. This school has a track and field oval plus a football field where your children can discover their potential as athletes. Lancaster Estates and Lancaster New City are trademarks of Property Company of Friends, Inc. Copyright © 2017 White Clouds Realty.